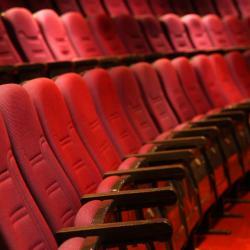 Looking for hotels near Plaça Catalunya? 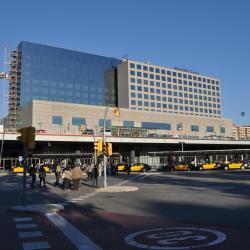 Hotels with great access to Plaça Catalunya! 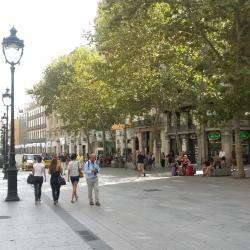 Take the aerobus from the airport to the center of town- the Plaça Catalunya. Then take a taxi. The aerobus will cost 6 euros and much less than a taxi. Return to the airport by aerobus. Enjoy the food down La Ramblas , Main Street to the port.. great place in the square to buy knockoff purses. My wife was asked for 30 euros. We paid 18. Too many people... Cruise ships (3-5 daily) drop off hundreds who pack the Placa and La Ramblas. Too many for anyone seeking to be more in touch with the culture and enjoy the true pleasures of the city. 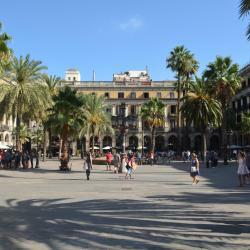 If you decide to go to Barcelona, Plaça Catalunya is the most central place to stay at. Find a Booking.com hotel, their ratings are credible. 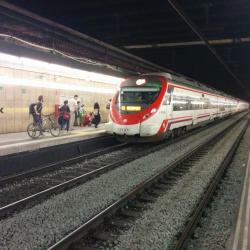 There is a bus express at €6 per person that will take you to both Terminal 1 and 2 International Airport from the central area of Plaça Catalunya. The earliest bus runs at 5:00 A.M. (Please research and verify) I love Barcelona, I promise to come back but this time with my children. TIP: take one of the double decker tour buses early (9-10am) from Plaza Cataluña your first day to get an overview of the city, then plan your days from there. I bought a two day ticket and used the second day to get to Barceloneta beach and end the day touring that side of the town. Best spent money as you can hop on & off as you like.